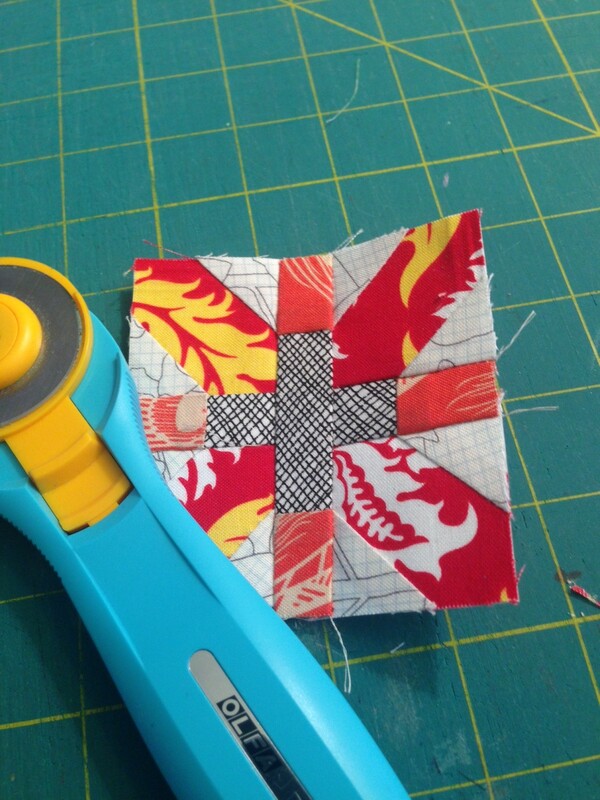 I am participating in my second Schnitzel & Boo Mini Quilt Swap. I wish I participated in more swaps, but know my own limitations. This swap seems like it is essential. This time the participants were required to be on instagram. So I know a lot more about my partner than I did last time. Which is fun. I think I will be more likely to create something he or she will really love. This is the first block of what I am working on. It is so teeny tiny. And paper-pieced, so I don’t enjoy the process, but I love the outcome. I have 8 more of these little guys to make, so trying to commit to 2 a week so I am done well in time to ship my package.